FEND Securities Expert Witness is a consultant in litigation and arbitration, nationally (22 states), involving securities, insurance and annuities. 356 arbitrations (700 retentions) since 1969, before NASD, FINRA, JAMS, AAA, NYSE, PSE & 100+ mediations. Mr. Dinehart, RFC, is a FINRA Arbitrator and has qualified & testified as a Securities Expert Witness before L.A. Federal Court & State Courts in L.A., Orange County. Fresno & San Diego. Case Track Record - 319 wins/37 Losses. "While I charge for my services, my opinions are not for sale". FEND, through Mason A. Dinehart III, RFC, provides objective expert opinions on the standard of care in the securities industry, based upon discovery, due diligence, technical knowledge and the four decades of experience he brings to the case. From a long-standing banking background in corporate finance, to underwriting and investment banking experience in financial brokerage, he adds a strong knowledge of modern portfolio theory through the teaching of hundreds of retirement financial planning seminars at the corporate level. From this vantage point, FEND* provides a refreshing prospective in the securities testifying arena that combines comprehensive analysis with effective communication skills. These factors, along with serving as a FINRA arbitrator and representing both claimant's and respondent's (65%/35%), contribute to a near 90% case success ratio in the securities arbitration & litigation fields. 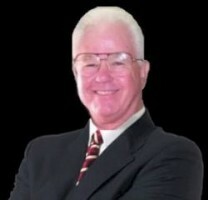 In 2009, Mr. Dinehart was retained by a plaintiff in a Los Angeles Federal Court action, before the Honorable S. James Otero, United States District Judge. The case was against a broker/investment advisor who sold the plaintiff a multimillion dollar investment position in the Bernard L. Madoff Split Strike Conversion Strategy. In November, 2009, Mr. Dinehart submitted his written report under FRCP Rule 26 (2) (B). Mr. Dinehart submitted his Written Declaration in Opposition to Motion for Summary Judgment. The declaration was accepted by the court and stated that “Mr. Dinehart had been retained by Plaintiff as an expert witness pursuant to the terms and conditions of the Federal Rules of Evidence 702 et. seq.”. Expert witness/Consultant in arbitration/litigation involving securities, insurance and annuities, nationwide. Testifying in 356 arbitrations (700 retentions) before NASD/AAA/NYSE/PSE with1100+ mediations. (No charge for direct/non-stop air flight time). Mr. Dinehart, RFC, has been qualified and has testified as a Securities Industry Expert Witness before State & Federal Courts in CA plus as an Insurance Industry Expert in the State Court of NV and serves as FINRA arbitrator. Services are provided for both claimants -(65%) and respondents (35%). Common/preferred stocks, bonds, IPO’s, mutual funds, variable/index annuities, life insurance/VUL's, L.P.’s, hedge funds, REITS, TIC's, options, REMICS, TINTS, mortgage backed securities & private stock offerings. P&L's and damage calculations provided. Testifying as to suitability, fiduciary duty, due diligence, underwriting & supervision, overreaching, churning, selling away, over-concentration/asset- allocation, modern portfolio theory analysis, stock manipulation, best execution, margin, options, mark-ups, mark-downs, on-line trading, RIA activities, control person liability, “financial suicide”, reverse churning, standard-of-care, industry custom and practice plus compliance. - Chairman of due diligence committee, licensing and marketing compliance officer for 200 registered representatives. - 1990-2001 - Owner & founder of a financial planning firm providing educational, retirement, financial planning seminars for corps., nationally. From 1991 to the present, the firm has added an emphasis upon expert witness activities, with 8 arbitrator assignments since 1999, with one pending and 2 awards. Bank of America - 1959-1965 - AVP - Corporate Finance – National Division Union Bank - 1965-1969 - VP - Manager of Business Development - So. California. 40+ years in Securities sales and supervision. Member FINRA Board of Arbitrators since 1999, Panel Chairman NASD # 99-03001-April '00. Branch Manager for 3 securities firms. Series 7, 24, 27*, 63, 65, 79, Variable Contracts, Life and Disability Insurance, Real Estate* * Previously Held. Over 20 depositions and 10 testimonies in L.A., Orange, Fresno and San Diego State Courts and 1 in L.A. Federal Court..
Practising Law Institute - L.P. Marketing & Compliance - 1972 - R/E Syndication; Money Magazine - January, 2006; Real Estate Review - Published article - Fall - 1972; The Register (IARFC) Summer 2002; Panelist & Speaker-Annual Seminar for Securities Brokers 2000-2003, sponsored by Registered Rep. Magazine and On Wall Street Magazine; KFWB Radio, November, 2003 – RFC Member - International Assn. of Registered Financial Consultants (IARFC), AAII; Life Member - American Institute of Banking - Pasadena District Chapter (AIB), member - Securities Experts Roundtable; Published articles – www.expertlaw.com. ; PIABA Bar Journal Volume 21, No. 2 - 2014 – “A Checklist for Reasonable Due Diligence – The ScoreCard”; PIABA Bar Journal Volume 24, No. 3 – 2017 – “The Challenge of Due Diligence of a Variable Annuity-The ScoreCard Method”. Over 1000 seminars on Financial Strategies for Successful Retirement presented to 401-K participants of corporations in America i.e. Lockheed, Rickwell, Loral and Grauman. Maddox, Hargett & Caruso, P.C.